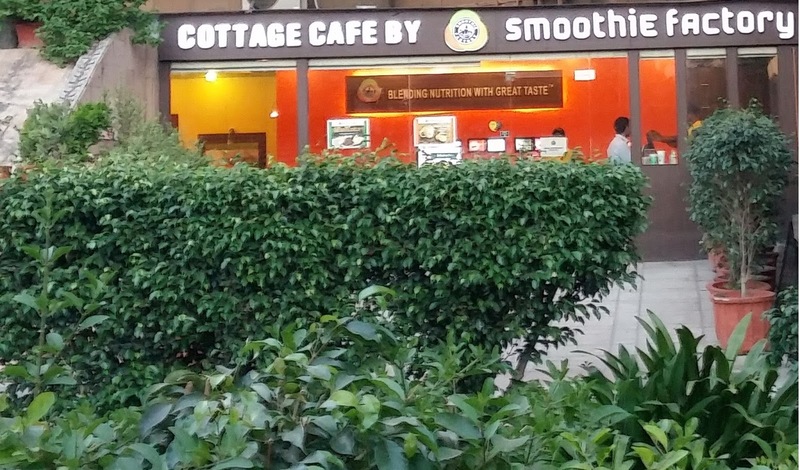 Right opposite to the Palika on one of the radial roads of Connaught Place, did open a coffee joint which created a buzz, unlike many others. Starbucks, the day to day coffee chain from the west, was finally coming to the city of heart; Delhi and Delhites did not want to be left behind in welcoming the guest. On my strolls on the opening day of the café, I saw people lining up for a coffee – pretty unusual in a city where we lack even seconds of patience and everyone is someone’s someone. Ironically there were tea vendors serving hot-tea for those waiting for their coffee J. They have tried to create a rusty ambiance with unpainted walls and ropes dangling everywhere. The coffee is good, service quick but snacks bland. You keep looking for that punch in the expensive side ordered to munch but the wait never ends. It’s only good to visit for a coffee once in a while, but nothing to travel all the way to CP for. A lot can happen over coffee and this chain is definitely living up to it. Awesome cozy ambiance, courteous waiters delivering coffee to the table and always a corner available if you are looking for those private moments. Spread throughout the CP like sprinkles of water after the night mist - I have counted 15. Almost every block has a few CCDs, and it needs an absolute effort to miss a CCD in CP. Great place for a quick coffee and light snacks if you are looking for a break from you CP hang-out or shopping spree. And in case you are a midnight owl, some of them open until 2 in the morning. I have visited various Barbeque Nations in Hyderabad and Gurgaon and they always come across their standardized offering. It was no different when I took one of my college buddies to the one in Connaught Place. 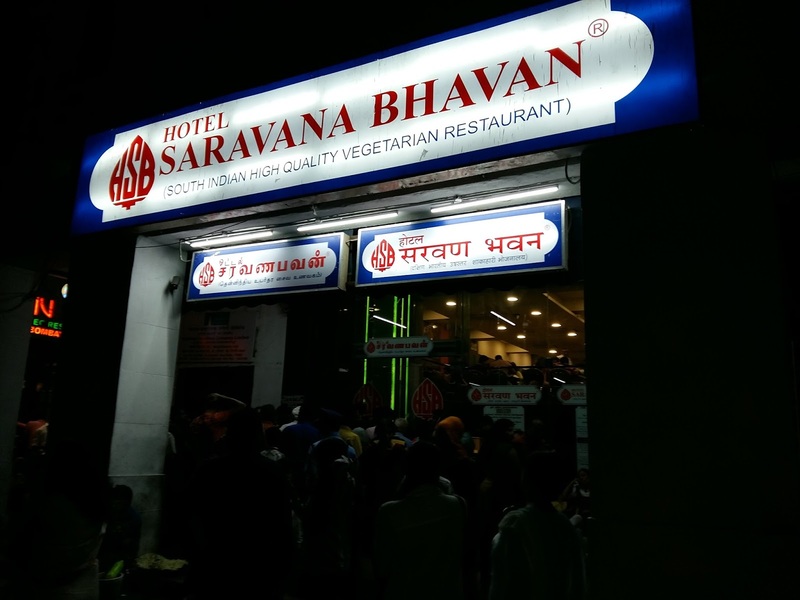 We were meeting for a quick get together and since I was a veggie and him pure non-veggie, we choose a buffet place to help with the logistics (awkward moments when the non-veggie has to agree to co-operate). This one is nestled on the second floor on the outer circle and is accessible by an elevator from one of the corners of the vast corridors. Unless you are aiming for it, it may be easy to miss it on the first round. Once you enter you find the usual trademark ambiance, though a bit congested. The staff was pretty courteous and sometimes tries to be over helpful creating funny instances. The food is good and gives a deza-vu feeling. It is quite long that BBQ Nation has not modified their menu and the starter platter shows sign of aging. There are many chains on the same theme which have come up off late and these are ready to experiment with their menu. Soon the first mover advantage of this great chain may no longer help it sustain the competition. 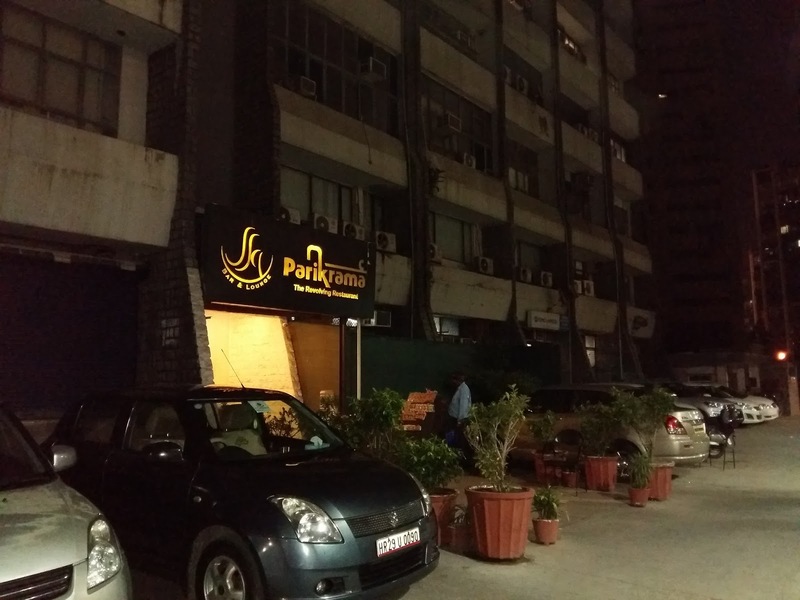 If you are in the mood of sizzling smoking sizzlers served right on your table, head out straight to this place. Located right opposite to the PVR Plaza, this is the best place to quench your appetite before you head into those dark rooms for a good 3 hours. The standard of food is good with portions decent for any expectations and location adds to the charm. The only issue is the service which by no standards is bad yet leaves something to be longed for. The staff is courteous but with poor communication skills. You may have asked for slight customization which would be lost in translation to the kitchen. However, the food definitely makes up for this. Situated on the periphery of famed Lodi Gardens, this is a perfect place for a romantic date under open skies. Replicating its name in the theme, this is truly a garden restaurant with seating arrangement spread over vast lawns. 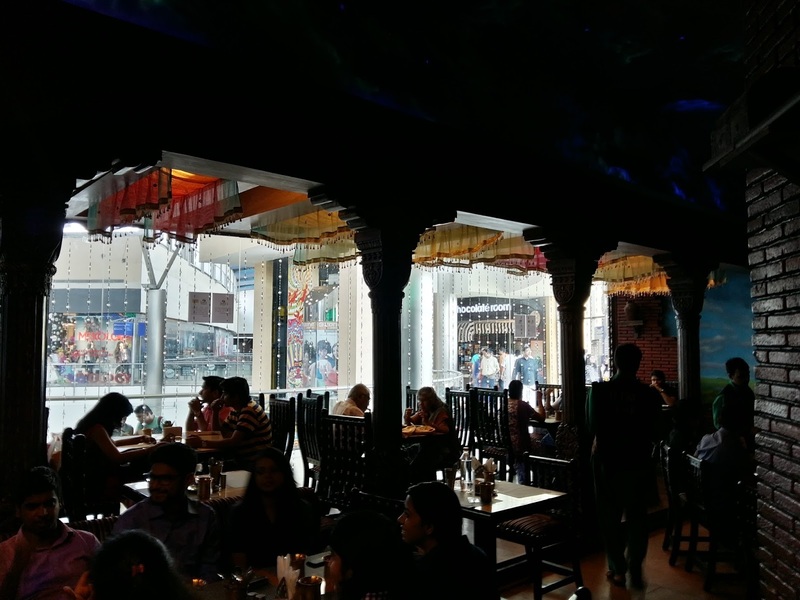 Although they do have indoor seating with a mystic touch, it is the open-air seating which this restaurant should be known for. In case you are here with your partner and wish to sweep her off the feet, literally, ask them for one of the cabanas – a spread out bed like seating under a canopy where the mouth-watering delicacies are brought right to you in best flavors and touch. Set in dim light and candles adding to the ambiance, we definitely loved the place for a sweet romantic date. The staff is really helpful and accommodating and located in posh central Delhi locality, this is an easy reach for anyone. We have all fantasized about rotating on a giant wheel while having a meal – haven’t we. This restaurant is exactly what it is. A lift takes you to over 200 feet in a corner of Central Delhi and places you on top of a large platform rotating around a tower. However, do calibrate your expectations as the movement of the platform is really subtle and its nothing like sweeping you off your feet. It’s a slow rotation which probably takes about 2 rounds through your entire meal. The central tower has directional arrows pointing towards various monuments visible from the glass periphery windows. The entire look is awesome but a bit congested as one could imagine the premium associated with a rotating platform logistics. Views both in daytime and night are awesome and provide different experience altogether. Also, they do not take reservations during the weekend, so in case you are planning a visit, do arrive early to avoid the wait. A nice eating joint on one of the floors of this vast shopping mall, Pind Baluchi offers a countryside ambiance and essence of Punjab in its food and service. 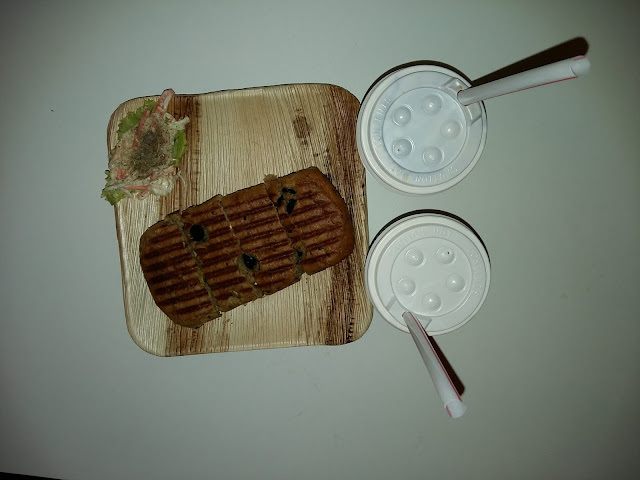 The cutlery used is shaped to provide the feel of the rustic village and the menu is designed to complement the theme. Artfully decorated with huge drums and trees, it offers food in a very different environment. We had a heartfelt lunch on a weekend outing to the mall and enjoyed the meal. The mushroom vegetable definitely stands out from the rest. The famous south Indian chain is flourishing well in Delhi and rightly so. The authentic south Indian charm that this place offers is mesmerizing in nature. An economical meal, a south Indian filter coffee or yummy dosa – whatever your wish is, this restaurant provides its best. 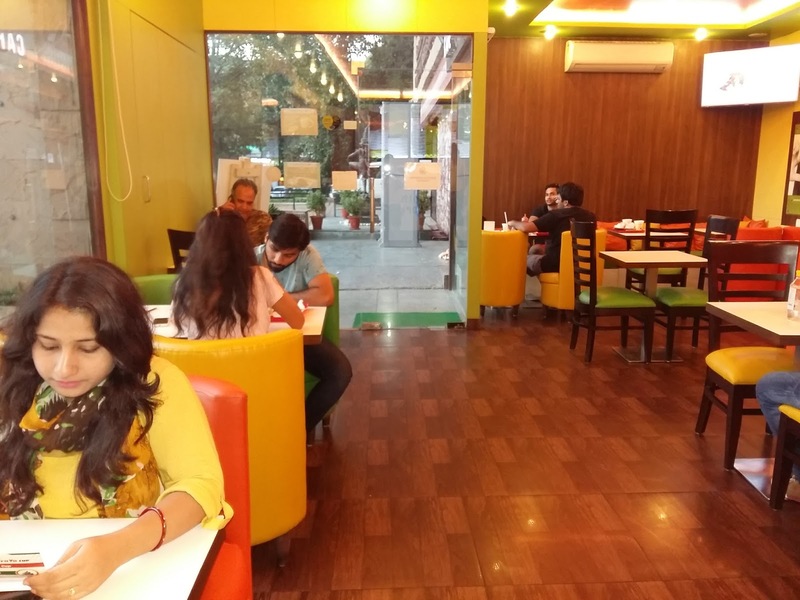 The relatively prompt service, sumptuous meals and nice overall ambiance is offered right on your plate. Don’t expect opulence or those mystic interiors but a decent, clean and soothing environment for a heart-full of food is what you get here. And in case you are planning to head out there, do keep in mind that they do not take reservations and wait is huge irrespective of how early or late you are. Once we visited the outlet on an April summer afternoon amidst scorching heat. And yeah, do not leave the place before you have the filter coffee which is best closeout for a sumptuous meal. There are two joints in close vicinity - one in outer circle of Connaught Place and other on Janpath, within a couple of km from the first one. While the former is relatively easier to get into, later has better overall ambiance. So choose between wait and outlook and decide the one you would like to visit. This is a cute small corner at the Cottage Emporium on Janpath, separated from the rush of all the usual coffee joints. It has a nice bright ambiance and comfortable seating to spend some good time with friends over coffee, smoothies or light snacks. A beautiful setup, economical prices and with amble parking nearby, it is a better place to head to, compared to many of the lounges in CP. A friendly economical place to grab some snacks for that chatpata swad watering your mouth. They also have a sit-down restaurant setting on the second floor for a complete meal. Thought the menu has limited options in terms of food but the quality is maintained and prices affordable. Those vegetarians who avoid eating at those plush restaurants to avoid the scent of curried-fish or tikkaed-chicken would find this humble setting a dream destination. Purely veg in nature (though I have never understood how adding pure makes food more veg) and located at the heart of CP, this is worth a stop-over. Another destination for sweets, snacks and fast-food where quality is assured while maintaining that roadside taste and flavor. They have an outdoor outlet serving chat right on the road to give you an actual feeling, if you are looking for one. Craving for gol-gappas or raj-kachori, do drop in to assuage those taste buds. Though economical in general, rates are definitely on higher side for the ambiance and set-up that is available (which is nothing more than bare-bone). Well, you have to pay for the extra hygiene consciousness that you are! I know there are numerous eating places in Delhi and each with its own flavors and specialties and I would not even have covered the very minimum of these. But the purpose is not to act as an expert of the restaurants but to showcase my experience at various outlets, I have been to. So calibrate your judgement based on this and may be refer to a professional site for actual reviews.